I am very happy to announce that Edward has just published a new co-edited volume. The details are below. Please join me in congratulating Edward on this wonderful accomplishment. 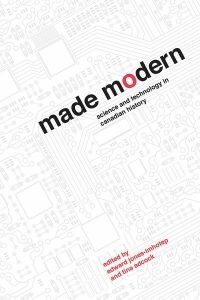 Announcing the publication of Made Modern: Science and Technology in Canadian History from UBC Press! As a special introductory offer, UBC is offering 40% off of the book to my friends and colleagues. Science and technology have shaped not only economic empires and industrial land scapes, but also the identities, anxieties, and understandings of people living in modern times. 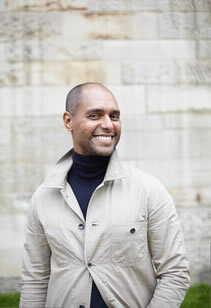 Co-edited by Edward Jones-Imhotep and Tina Adcock, Made Modern explores the complex interconnections between science, technology, and modernity in Canada. It draws together leading scholars from a wide range of fields to enrich our understanding of history inside and outside Canada’s borders. Organized around three key themes – bodies, technologies, and environments – the book’s chapters examine how science and technology have allowed Canadians to imagine and reinvent themselves as modern. Focusing on topics as varied as colonial anthropology, scientific expeditions, electrotherapy, the occult sciences, industrial development, telephony, patents, neuroscience, aviation, space science, and infrastructure, the contributors explore Canadians’ modern engagements with science and technology and situate them within larger national and transnational contexts. The first major collection of its kind in thirty years, Made Modern explores the place of science and technology in shaping Canadians’ experience of themselves and their place in the modern world. This book will be of interest to students and scholars of the history of science and technology, Canadian history, and environmental history. Order online at ubcpress.ca, and enter in the discount code 7231-40 at the checkout screen to receive 40% off the retail price.